The Cisca Saltpipe green is an original patented, dry salt inhaler designed to aid breathing. The salt pipes are a simple and natural device using Halite Salt Crystals formed in Hungarian caves. Unlike other similar salt pipes, the Cisca Saltpipes require no refills and also features both, a safety valve and CE medical registration. It has been suggested by studies that almost all respiratory disorders such as asthma, allergies and sinus problems are associated with air pollution. In order to maintain a healthy lifestyle, as well as keeping physically healthy, cleansing our respiratory system too is important to our overall well-being. A small quantity of essence will increase the physiological effect of the salt crystals. Suitably chosen essences such as Myrrh, Eucalyptus and Peppermint will also provide regenerating and soothing effects. 1 x 50-60g of Halite Salt Crystals. 1 x Porcelain salt pipe. Active ingredients enough for 5 years (for 1 person). Place the salt pipe into your mouth and inhale normally, exhaling through your nose. 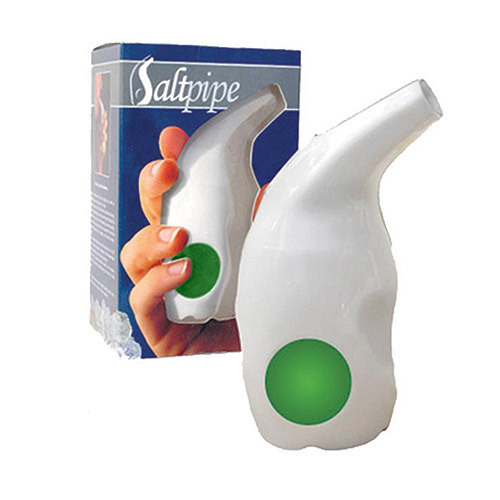 A salty taste may be experienced at first but will lessen with use as the salt crystals vaporise within the salt pipe. It is recommended to use the device for 15-25 minutes daily. The Cisca Saltpipe contains active ingredients enough for 5 years. Do not remove the rubber valve on the top of the pipe. For better results, the salt pipe should be used continuously and not at odd times. Clean the salt pipe with a slightly damp cloth. Water must not get into the device. 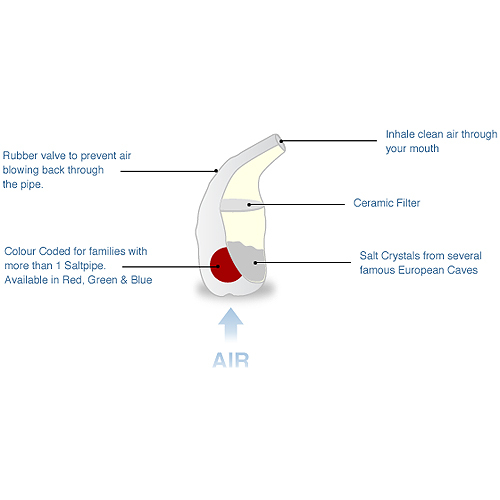 Below are reviews of Cisca Saltpipe Original - Salt Inhaler - Green by bodykind customers. If you have tried this product we'd love to hear what you think so please leave a review.